Everything we needed for our stay was provided. Very thoughtful about what would be needed for cooking. Very nice, spaceous appartment, in the city centre, Free parking in garage nearby, friendly host with excellent tips, good kitchen, nice beds and good shower! Jesus was a wonderful host, picking us up and dropping us back to the station, and giving us good advice for Caceres and an excursion to Trujillo. The house was great with a very nice balcony and very close to everything. Nice old house in the historic center of Caceres. Cleverly designed with the living room and kitchen on the middle floor. This gives pleasant light in the living room, and good privacy between the bedrooms on the ground floor and top floor. Great beds. The host was kind and guided us through the city. Highly recommended. The apartment was clean, confortable and well designed. The beds were extremely confortable. 100 points. Location is very central for the old part of town. Ubicación excelente. Literalmente, a dos minutos andando de la plaza mayor. Atención y disponibilidad del dueño, Jesús. Nos recogió en el parking e incluso nos ayudó con el equipaje hasta el apartamento. Cocina muy bien equipada. Tenía de todo. Agua, leche, te, cafe, todo tipo de menaje y material. Baños amplios. Limpios. Una muy buena elección. La ubicación muy buena .La plaza de parquing una gran ventaja. Lock in a great price for Casa Nidos – rated 9.3 by recent guests! One of our best sellers in Cáceres! Located in Cáceres, this air-conditioned holiday home features free WiFi. Guests benefit from terrace. There is a seating area, a dining area and a kitchen complete with a microwave, a toaster and a refrigerator. A flat-screen TV is provided. Other facilities at Casa Nidos include a sun terrace. Plaza Mayor Caceres is 350 feet from Caso Nidos, while Santa María Church-Procathedral is 650 feet from the property. The nearest airport is Talavera La Real Air Base Airport, 47 mi from the property. 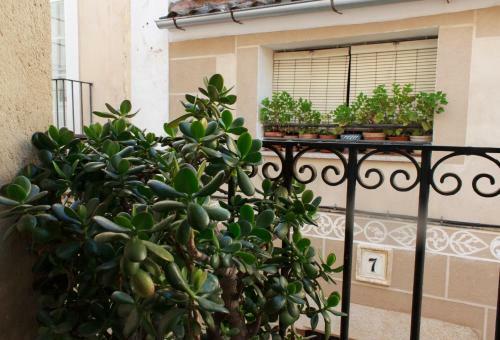 This property is also rated for the best value in Cáceres! Guests are getting more for their money when compared to other properties in this city. 뀐 Located in the top-rated area in Cáceres, this property has an excellent location score of 9.7! When would you like to stay at Casa Nidos? This holiday home has a balcony, tea/coffee maker and tile/marble floor. Public parking is available at a location nearby (reservation is not needed) and costs EUR 10.30 per day. The house is located on a pedestrian street in the vicinity of the historic center of Caceres ,100 meters away from the City Square. 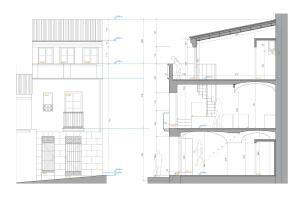 It is a three-storey house built in 1900 and restored in 2016 by Cruz & Rueda respecting the traditional architectural elements such as the vaults and using traditional materials. 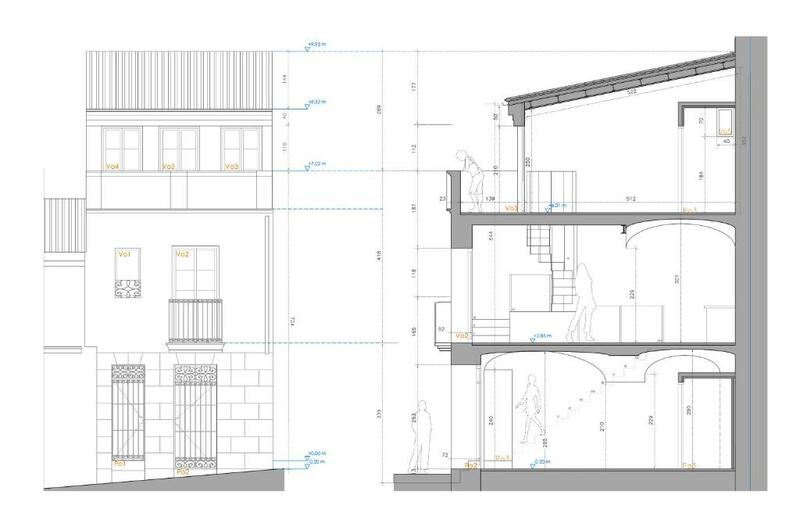 Each storey has a surface of 18 square meters. The ground floor contains a vaulted double room and a bathroom; it has two single beds (90 cm), wardrobe and desk. The first floor has high vaulted ceilings, a small balcony and a window which make it very sunny. This floor contains the living room and the kitchen. The kitchen has all the necessary tools for cooking and a dining table for six and the living room has a comfortable sofa bed for two persons (135 cm), two armchairs and a television. A spiral staircase connects to the second floor which contains a sunny double room, a bathroom and a nice terrace. The room has a double bed (140 cm), wardrobe and a desk. The terrace has a table and chairs to enjoy the sunsets and the sound of the bells of the nearby Church of Santiago. I am a restless person interested in heritage preservation and development of social projects. The idea of "Nidos" arose from the need to find an alternative use for small and damaged houses abandoned in historical neighborhoods since these houses posed and pose a risk to the preservation of historical centers. Along with the Study of Architecture Cruz & Rueda we thought the transformation of these houses into tourist accommodations, respecting their typology and traditional construction elements, could generate a triple value: firstly to the society since protecting these typologies and traditional constructive elements preserves " the city and its memory "; secondly to the neighborhood since "seeding guests" in their streets favors the family businesses and the employment; and finally to the persons, "the guests", since inviting them to become neighbors by inhabiting a "home" is a differentiated experience and a window to another form of "seeing, visiting and taking part" in the city. Finally the benefits of "Nidos" are reinvested in similar heritage preservation projects with social content. 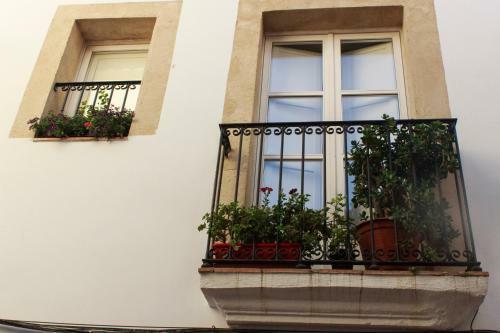 The house is located in the vicinity of the historic center of Caceres in an ideal place to visit the ancient city and to use it as a reference point for excursions to other parts of the region. The City Square (Plaza Mayor), the main access to the historic city and to important monuments such as the churches of Santa Maria and Santiago, or the medieval palaces of Ovando, Mayoralgo or Golfines, or the Arab wall, is located 100 meters away. The neighborhood has plenty of services for tourists such as: the public parkings of Don Manuel (San Justo Street Nº. 15) or Obispo Galarza (Luis Obispo Galarza Square) just 150 meters away from the house although in the nearby streets (Margallo, San Justo ...) parking is free; many restaurants and terraces; a supermarkets just 50 meters from the house in the Cuatro Esquinas Square and convenience stores open on holidays in Margallo Street. Curiously the street where the house is located is a quiet pedestrian one and is part of the Southern Saint James´ Way. House Rules Casa Nidos takes special requests – add in the next step! Casa Nidos accepts these cards and reserves the right to temporarily hold an amount prior to arrival. Please inform Casa Nidos of your expected arrival time in advance. You can use the Special Requests box when booking, or contact the property directly using the contact details in your confirmation. Due to unusual cold weather, the floors were still very cold. The bathroom on the ground floor was difficult to close the door and needs a makeover. The hot plate in the kitchen didn’t work. We booked for 3 adults and 3 children and were provided 2 single beds, a double bed and a cot.